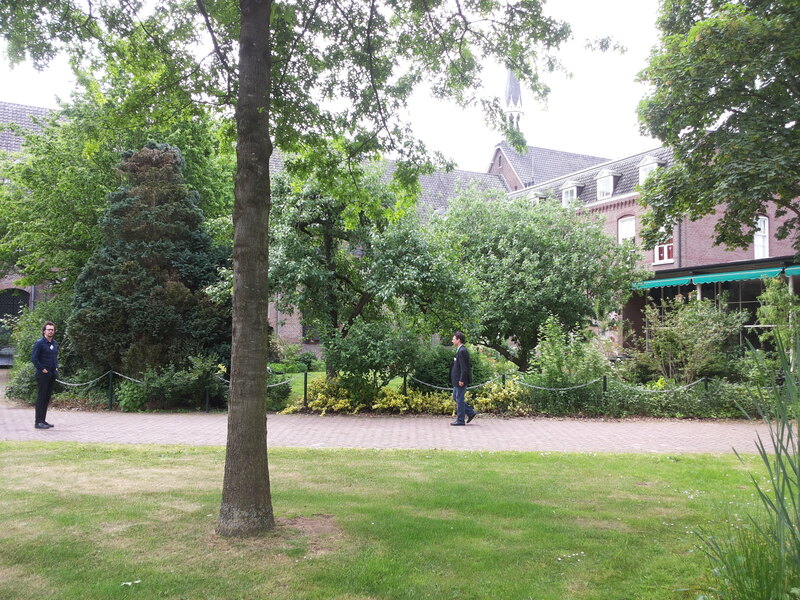 Last week, I presented our work on the Verrijkt Koninkrijk project at the E-humanities workshop in the Soeterbeeck monastery which was organised by the university of Nijmegen and the e-humanities group of KNAW. 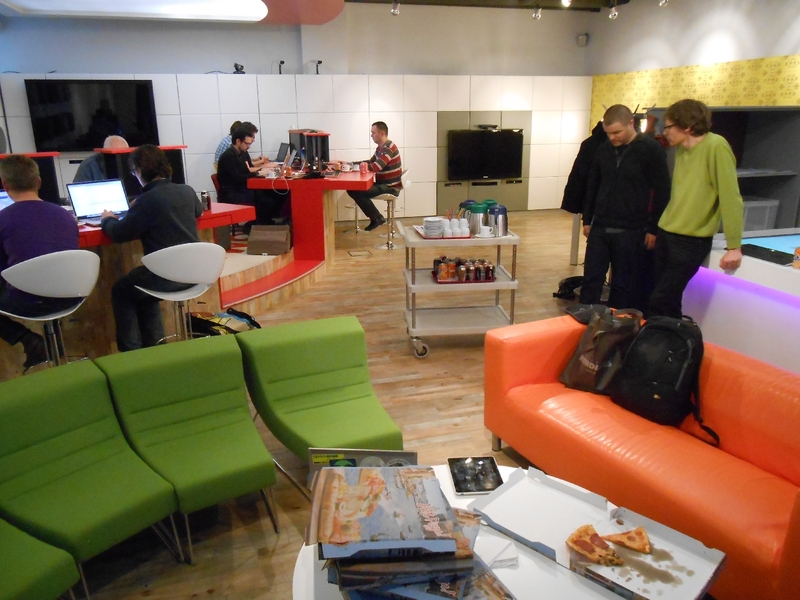 It was a very pleasant get-together with some nice talks and hands on sessions. Alice Dijkstra from NWO presented a number of opportunities for getting funding for e-humanities projects. She mentioned some obvious candidates (vernieuwingsimpuls,…) and some less obvious ones (the hopefully upcoming CLARIAH programme, which would continue CLARIN and DARIAH). The two hands on sessions were nice but showed that there is a more general issue with e-humanities that ‘nice tools’ are being developed but that these tools remain solutions to a single problem. Next to that they are either nice from a computer science or from a historical science viewpoint but it is hard to do exciting comp.science and historical science at the same time. This is reenforced by the issue that historical scientists rarely know what type of tools they want at the beginning of a project. A more interactive and cyclical approach makes sense for both parties. The BiographyNet idea of putting the researchers from different backgrounds in the same room would be one solution. The other in my view is the development of more general-purpose query environments . In my poster presentation I showed how I tried to do that with Verrijkt Koninkrijk and I think for a more or less generic data analysis interface is also a good idea. You can download the VK poster Abstract as well as the actual Poster. 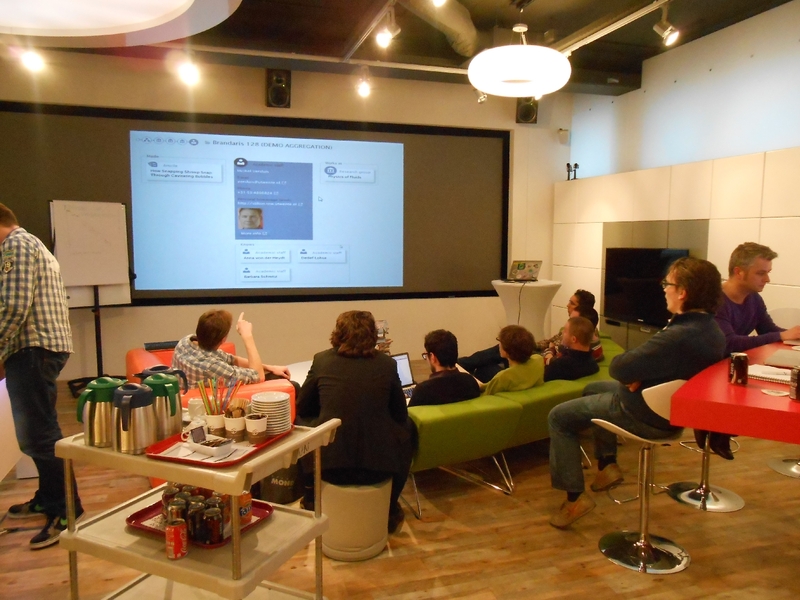 On Friday, March 8th, we organized a Verrijkt Koninkrijk Linked Data Hackathon at the Intertain Lab of VU Amsterdam. The event was co-sponsored by the Network Institute. 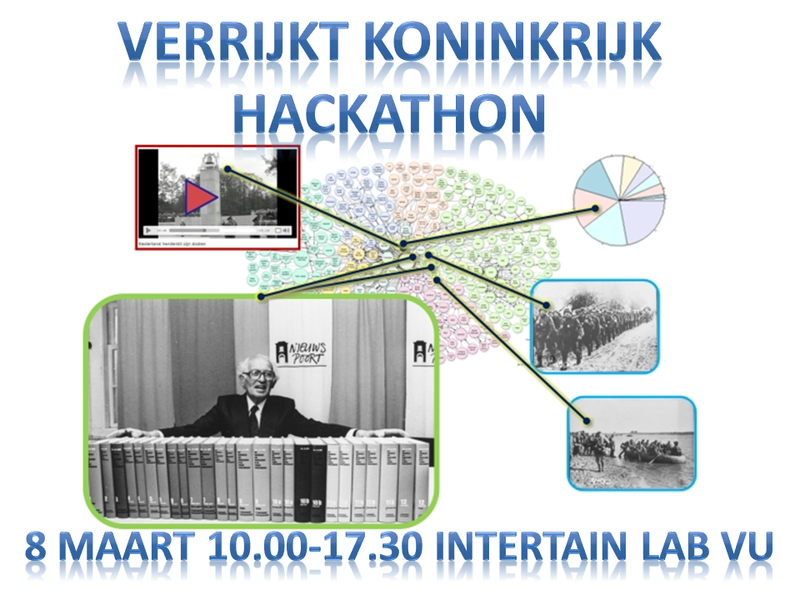 The goal of the hackathon was to allow third party developers to produce (ideas for) innovative applications beyond the Verrijkt Koninkrijk core research questions. We especially encouraged the use of the Linked Data produced in the project. The produced applications show the (unexpected) reusability of the VK (Linked) Open Data. The applications produced or suggested give new browsing opportunities, links to other datasets or show how the data can be used in a completely novel context.The hackathon revealed that indeed the data is usable for external developers using the documentation provided. Some bugs were found, some of which could be fixed during the hackathon. Important concepts around data quality were articulated by the users. Although it falls outside of the scope of this project, subsequent curation of the dat should involve considering ways of allowing experts or amateurs to correct errors in the data. The VK project data is made known to researchers and developers from related projects, for example that of Agora or BiographyNed. We expect that this ensures future use of the data by related projects. We here present short descriptions of what the six hacker teams cooked up. Two prize winners were announced by the jury, for “best use of data” and “coolest app” respectively. The jury consisted of Kees Ribbens and Edwin Klijn from NIOD, Serge ter Braake and Victor de Boer from VU. More photos of the event can be seen at www.few.vu.nl/~vbr240/verrijktkoninkrijk/hackathon/. Niels used the data from the Named Entity index to create a history browser which allows the user to browse information about WWII on basis of persons, locations, organisations, etc. (the NER classes). 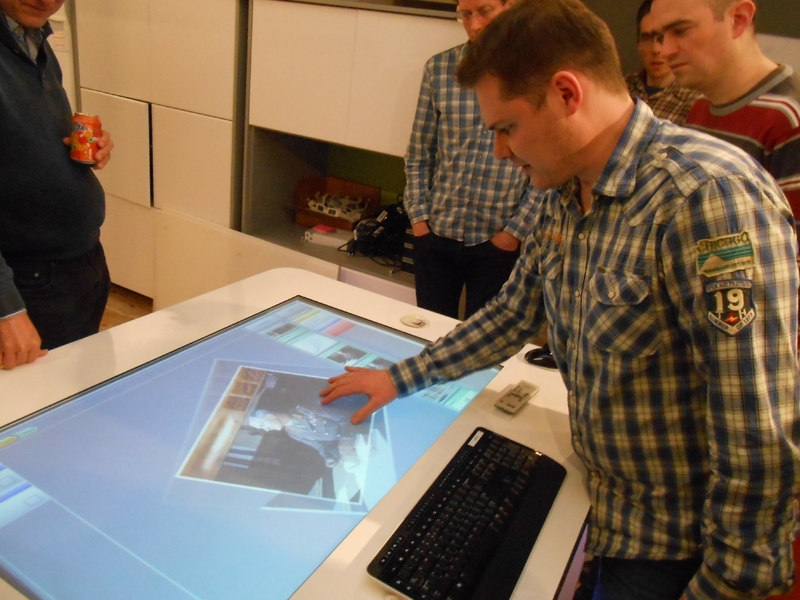 For this he reused the Agora Touch demonstrator. When a class is chosen a list of entities is shown with images which are resolved through the alignment with DBpedia. Niels used the LDtogo framework to map the selected data on the API interface of the Agora demo. Lourens aligned the VK data with that of Agora Rijksmuseumusing the Amalgame alignment tool. 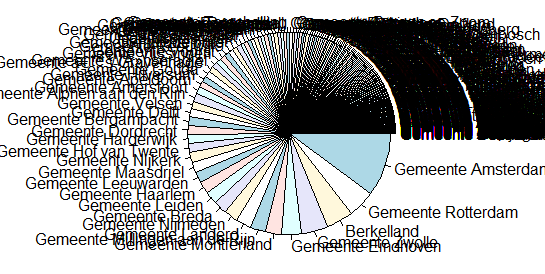 This is used to link VK data to RM images using the Rijksmuseum API via http://eculture2.cs.vu.nl:43020/ (results shown here (pdf)) He furthermore started to use the Verrijkt Koninkrijk data to add links to VK from within our AGORA demo that is an event centered browser for the Rijksmuseum content. Very rough results show a AGORA demo entry for Duitsland. The application of Chris van Aart shows how the monument data from Vier en Vijf Mei can be browsed using the Cube browser on IOS. THis allows for multi-faceted browsing between Dutch war monuments. By flipping the screen, one can actually look at the RDF data! This post will provide all the participants of the Verrijkt Koninkrijk Hackathon with the information and data they need to start building great applications. In this deliverable document [ dx1- deliverable pdf], you can find more detailed information about (the origin of) the data. 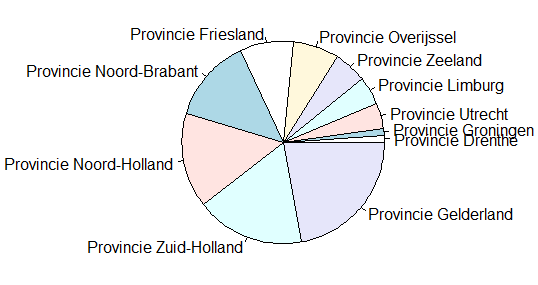 The Verrijkt Koninkrijk Data concerns Dr Loe de Jong’s Het Koninkrijk der Nederlanden in de Tweede Wereldoorlog and was based on the PDFs as provided by NIOD at http://www.niod.knaw.nl/koninkrijk/ . The books have been OCRed and transformed to structured XML by researchers from the Universiteit van Amsterdam. This data is available through www.loedejongdigitaal.nl. 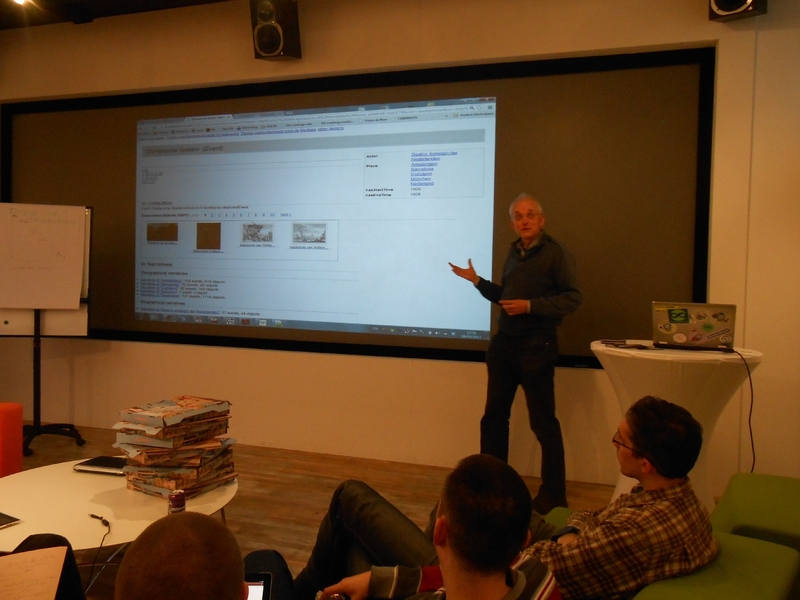 A search interface is available at http://search.loedejongdigitaal.nl. A resolver server was installed which responds by presenting the structure (in XML) when presented with a URL. 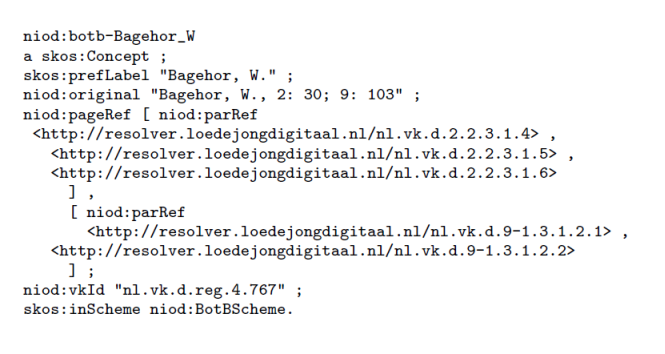 For example, http://resolver.loedejongdigitaal.nl/nl.vk.d.1.6.1.43 is resolved to the XML fragment of that paragraph. Removing the last number of the identifier (43) results in its broader section, etcetera. Paragraphs are the smallest logical units (also, a page is not a logical unit). We provide two RDF ‘stepping stones’ into the book text. The ‘Back of the Book index’ and the ‘Named Entities index’. Both are SKOS vocabularies and consist of terms pointing to resolver.loedejongdigitaal.nl URIs. These vocabularies are linked to external sources as well. All RDF is available as Linked Data at the VK Semantic Layer at http://semanticweb.cs.vu.nl/verrijktkoninkrijk/ The base namespace for the VK/NIOD triples is http://purl.org/collections/nl/niod/ (abbreviated as niod:). Datasets, mapping sets and schemata are all loaded as separate named graphs (http://semanticweb.cs.vu.nl/verrijktkoninkrijk/browse/list_graphs). A SPARQL endpoint is also available at http://semanticweb.cs.vu.nl/verrijktkoninkrijk/sparql/ with an interactive SPARQL editor available at http://semanticweb. cs.vu.nl/verrijktkoninkrijk/flint/ You can login with “hacker”/”hacker” (if needed). The BotB index consists of 15,234 SKOS Concepts, consolidated from the manual index. They link to RDF blank nodes using the niod:pageRef predicate. The blank node links to individual paragraphs using niod:parRef predicates. An example is shown below. This SKOS vocabulary consists of 88,243 concepts, resulting of Named Entity recognition. The NEs are of type person, location, organisation, misc, product and event. They link into the text through direct niod:pRef links. An example is shown below. The NE concepts are partially aligned with DBPedia (through wikilinks established during the NER process), with GeoNames (locations only), with GTAA and the NIOD thesaurus. There is also mapping to the BotB index (can be used to use a ‘higher quality’ subset). This page lists a number of sparql queries that exploit some of the links presented above. It accompanies a paper and deliverable. BeeldbankWO2, an image archive with over 175,000 images gathered from various Dutch national war- and resistance-museums . Unfortunately, the high-quality images are not available as Open Data, only as thumbnails. Vier en Vijf Mei monument data: This data concerns all the war monuments listed by Comite vier en vijf mei as Linked Data (RDF). Within the project, we are very much interested in the concept of pillarization and how Loe de Jong describes it. For this reason, we have added a turtle file what links Pillar concepts (Protestants, Jews, Communists, etc) to persons, organisations etc. found in the BotB index. This is a manual list of 60 links, which was semi-automatically expanded to 254 links. You can find the original list here and the expanded one here. We did a number of analyses using this data, a (Dutch) PDF document describing the results can be found here [zuilen (pdf)]. Verrijkt Koninkrijk Semantic Layer update: now with more DBPedia! The Verrijkt Koninkrijk Semantic Layer (which has gotten a small makeover) now is expanded with 13,160 links to the Dutch version of DBPedia (nl.dbpedia.org). The Named Entities that have been identified by the UvA recognizers have been converted to SKOS and are loaded in the semantic layer. The wikipedia links, also from the UvA algorithms, have been converted to owl:sameAS links to Dutch and English DBPedia. To allow for some nice SPARQL querying, I have fetched the RDF triples for the linked Dutch DBPedia concepts (interactive SPARQL endpoint at http://semanticweb.cs.vu.nl/verrijktkoninkrijk/flint/). An example of such a nice SPARQL query is this one, which retrieves all paragraphs in Loe de Jong’s text (retrievable through the loedejongdigitaal.nl resolver) that mention a person that was (or later became) a Prime minister (limited to the first 100 results). Or this next one, that lists for each of the found named entities of type ‘event’ an image depicting that event. Again, all results should be taken with a grain of salt, since many OCR, conversion and linking-errors occur. The quality of the DBPedia conversion is unknown and outside of the scope of the Verrijkt Koninkrijk project. 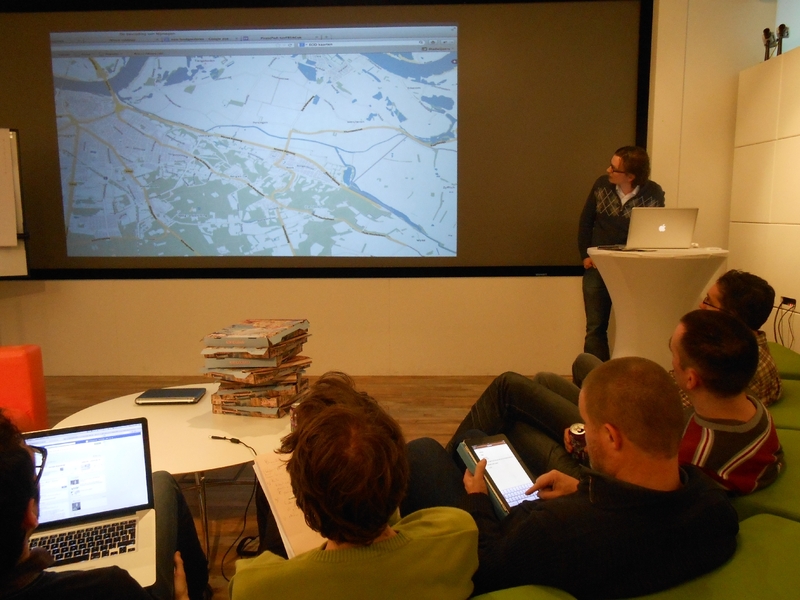 For OpenCultuurData, I assisted NIOD (Dutch Institute for War Documentation) as an ‘Open Data coach’. For the hackathon, organised 16 june 2012 by hackdeoverheid, NIOD published part of its image archive Beeldbank WO2as open data (see also their datablog). The dataset contains 140.000 images about WW II as well as its metadata. It is accessible through OAI-PMH. Also for OpenCultuurData, the ‘Nationaal Comité 4 en 5 mei‘ (VVM) presented their database about war monuments as open data (again, see their datablog). This database (available as an XML datadump) contains 3500 monuments, most of which are related to WW II, including the Dam Square Monument. For the hackathon of 16 June, Michiel Hildebrand and myself decided to take these two datasets and convert them to ‘five star linked data‘. For the conversion, we used the XML to RDF tool enclosed within Cliopatria, VU’s semantic toolset. Using a few rewriting rules, we converted the OAI XML of NIOD’s beeldbankWo2 as well as the XML of 4en5mei to RDF. The NIOD data consists of 2,097,214 RDF triples, using 15 predicates, most of which are Dublin Core metadata fields. The images records are annotated with concepts from the NIOD thesaurus, which is currently under development within the Verrijkt Koninkrijk project . The VVM data set contains 122,233 RDF triples and uses 37 predicates, most of which are specific to the dataset. We mapped these predicates to Dublin Core using subProperty predicates (for example, the 4en5mei:artist predicate is mapped to dc:creator. To be able to map address locations to other data sources, we upgraded addresses from literals to SKOS concepts. This Linked Data graph figure shows the two datasets, plus the vocabularies and datasets they link to. In a previous effort, we produced links betweeb the NIOD thesaurus and a) Cornetto and b) Dutch AAT. The result is shown in the mini-datacloud figure below. For the datasets, we used PURL URIs. This is mainly a matter of convenience since we do not have direct access to either the NIOD or the VVM web servers. We used the basenames http://purl.org/collection/nl/niod/ and http://purl.org/collection/nl/viervijfmei/. HTTP requests are forwarded to a running instance of Cliopatria at http://semanticweb.cs.vu.nl/pvb. Here, a SPARQL endpoint can also be found. The link between a 4en5mei monument and an Amsterdam Museum object, through a mapped address concept. Link evaluation: none of the links were validated, so there is no guarantee of their quality. More links: More possibilities for connecting the datasets remain. These include the enrichment of BeeldbankWO2 dc:coverage fields (to GeoNames) and mappings to Rijksmonumenten, Stadsarchief etc. The NIOD data now lives on two separate Cliopatria servers (one associated with Amsterdam culture data and one with Verrijkt Koninkrijk). These should be merged. We are also looking at use cases for applications that will use this linked data. We hope to submit one to the OpenCultuurData challenge.